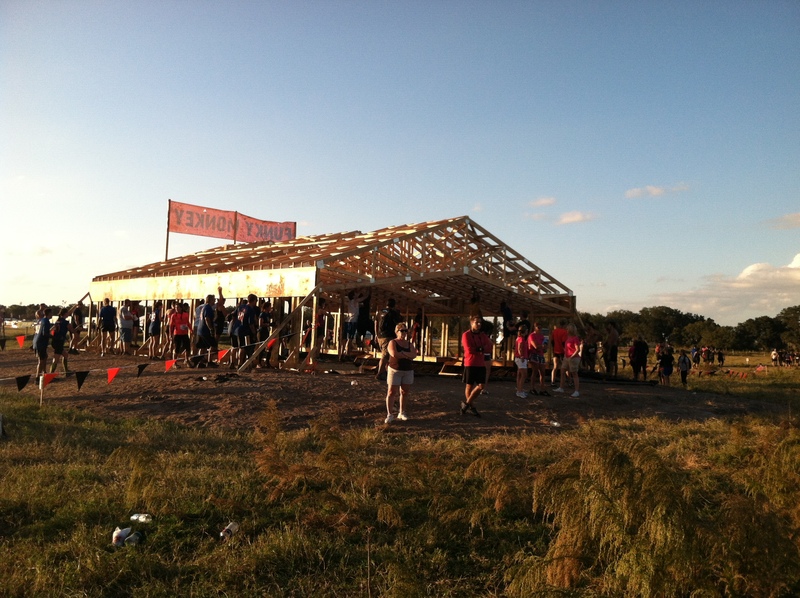 I didn’t run Tough Mudder this weekend; I was there spectating while Bill and his friend AJ took on the challenge! We left a little after 11am to make the hour drive to Sarasota. I figured that would be plenty of time to get to the site, park, get the boys marked up and see them off. I was wrong. Very wrong. A few miles before our exit off the highway, we came to a complete stop. I didn’t think much of it; I just assumed there was an accident up ahead. Using his trusty iPhone, Bill rerouted in a way that would hopefully get us there faster and avoid the traffic, since the clock was ticking. It was a little after 12 at this point, and the map app told us that it was going to take us 45 minutes to get to the start from our current location. Yipes! So, we got off the highway and were making progress until we were about 4 miles away. Bumper. to. bumper. Apparently there were quite a few people doing the race. By this time, it was maybe about quarter til 1. 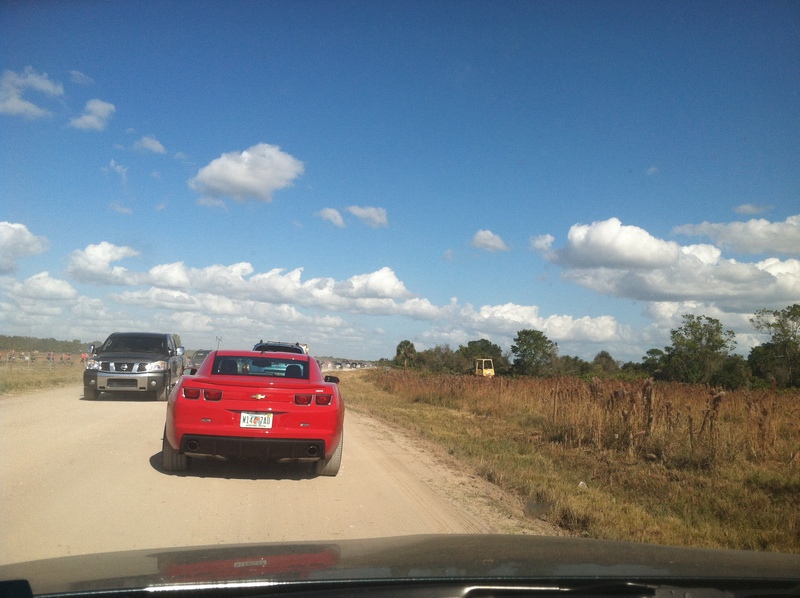 I checked my twitter feed for #TMTampa and saw a number of tweets about how horrible the traffic was. This was not looking promising to get them to the start in time for their wave…So after moving only about a half mile, Bill and AJ hopped out of the car and started running for the start line. I finally made it onto the Hi Hat Ranch at about 1:20 or so. I did a quick change in the car into my running gear (I don’t know why I didn’t put it on before we left) and headed towards the starting area. I hoped the boys had made it in time, since I hadn’t passed them on the road. I jogged for maybe 10 minutes before I finally made it to the starting area. 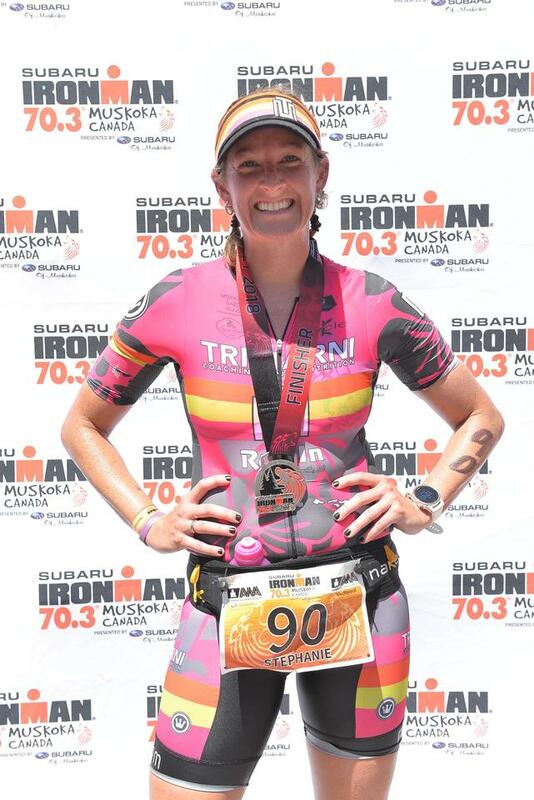 I handed in my signed waivers (yes, spectators had to sign waivers too) and my spectator ticket (which I also had to buy- $20 in advance, $40 had I purchased it on site) and headed to the start line. 1:00 was supposed to have been the last wave, but when I arrived I saw that they were still sending waves of people off. I was hopeful I hadn’t missed seeing the boys start! 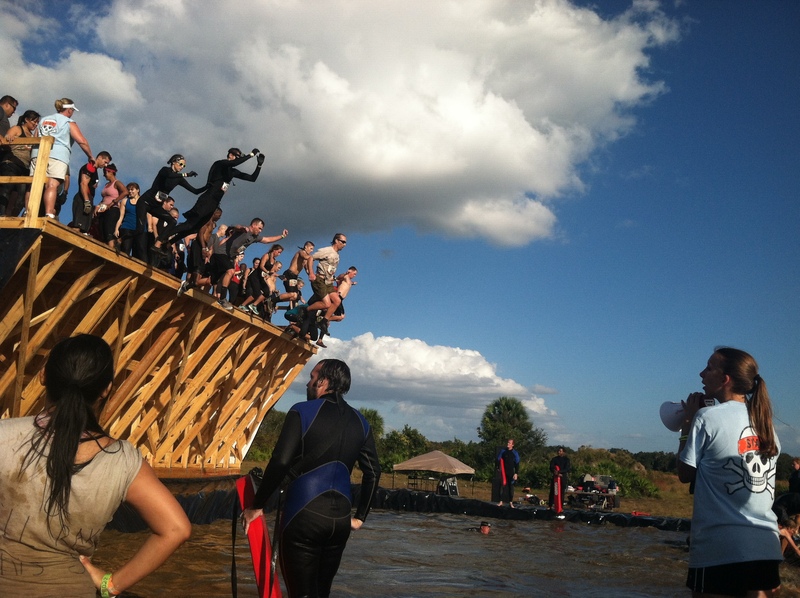 I hung around for a little while, watching the athletes go over the first obstacle- getting to the start line! 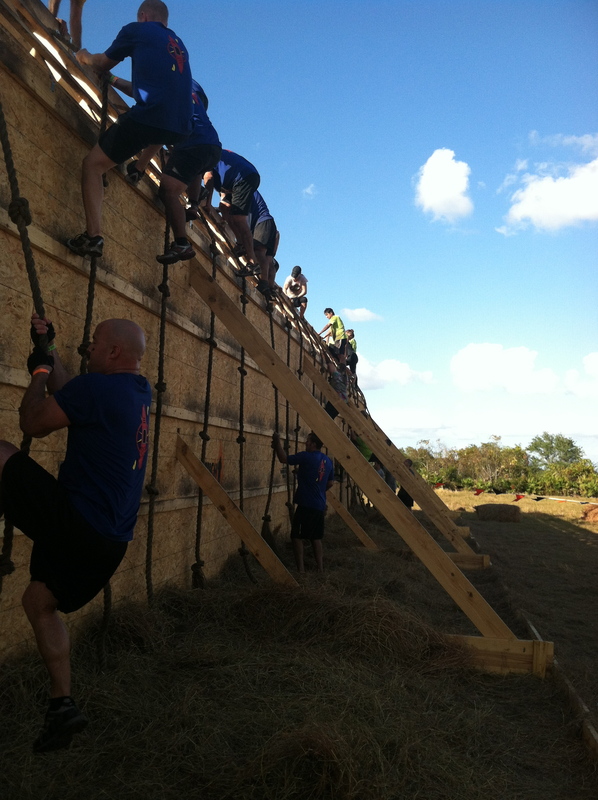 Everyone had to climb a wall before getting into the starting corral. The race designers certainly don’t mess around. 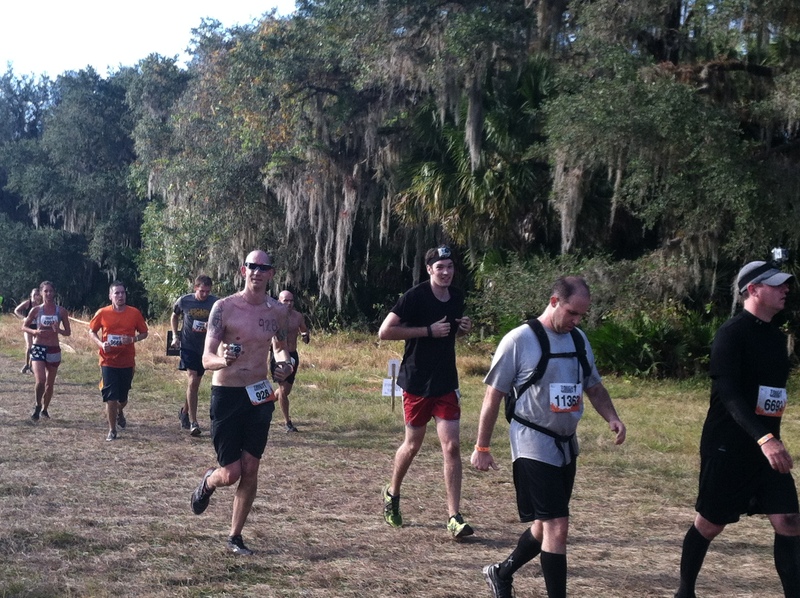 Just before 2, I figured I had missed them, so I walked away, planning my spectating route. I later learned that they had started right around 2. Doh!! I really appreciated the spectator map that they provided. I definitely would have been lost without it! The key indicated that the obstacles marked by a star were “must see” obstacles. 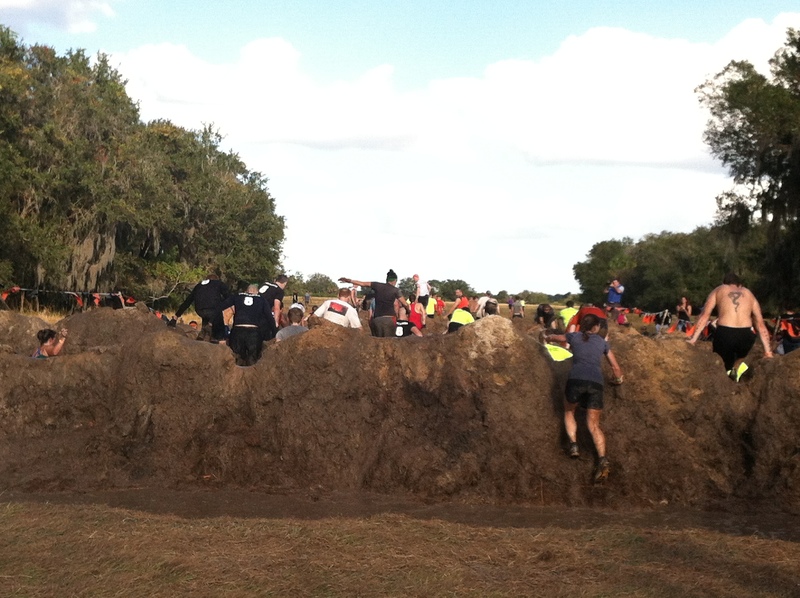 So I headed towards the blue spectator route because that included 4 starred obstacles, and it was right about mile 7. I certainly would catch the guys there! I went a little beyond the marked route and stood in the woods and cheered while I waited. 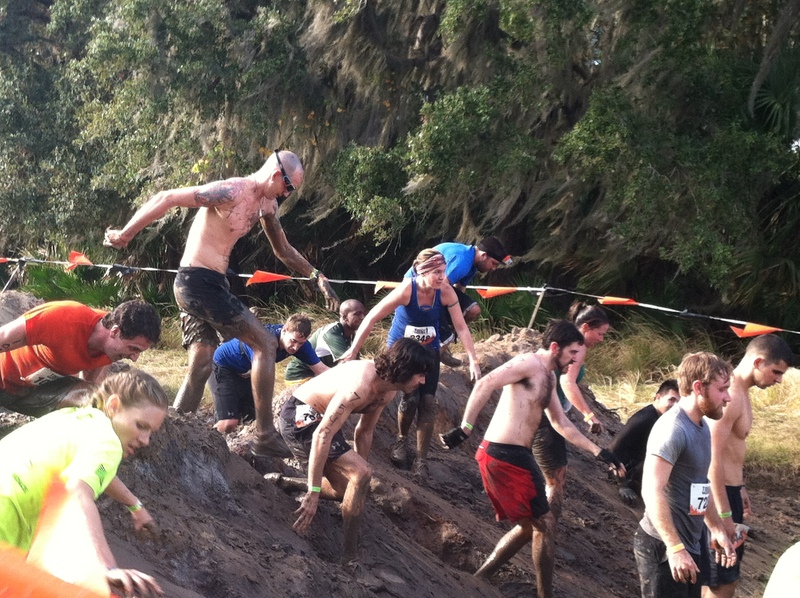 About half the people I saw run by me looked like they were having fun. The other half looked pretty miserable. I tried to be a morale booster by shouting some words of encouragement. Finally, a little after 3 o’clock, I spotted them! Yay! I shouted “Go Bill Berry! ” at the top of my lungs, and started to run along with them. Bill said they were feeling pretty good, and the only issue he was having was blisters on his feet. 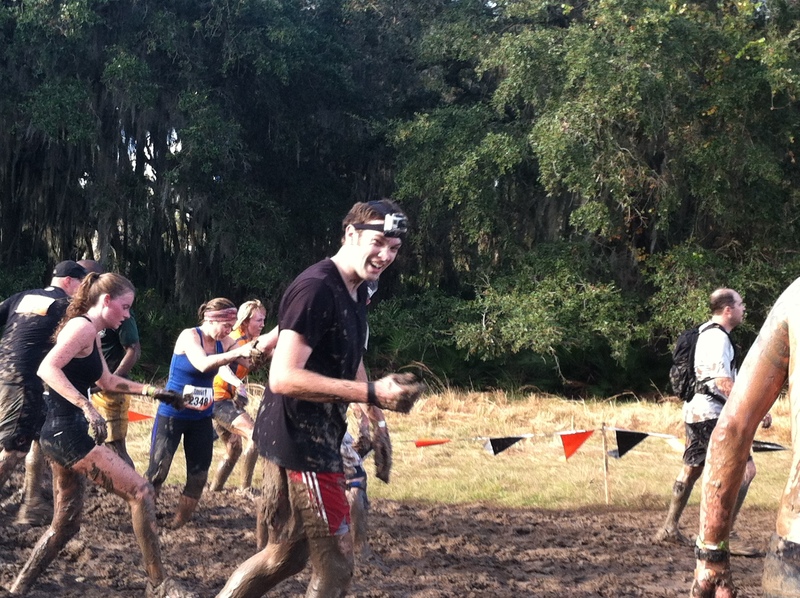 He wouldn’t let it stop him as they plowed their way through the course. 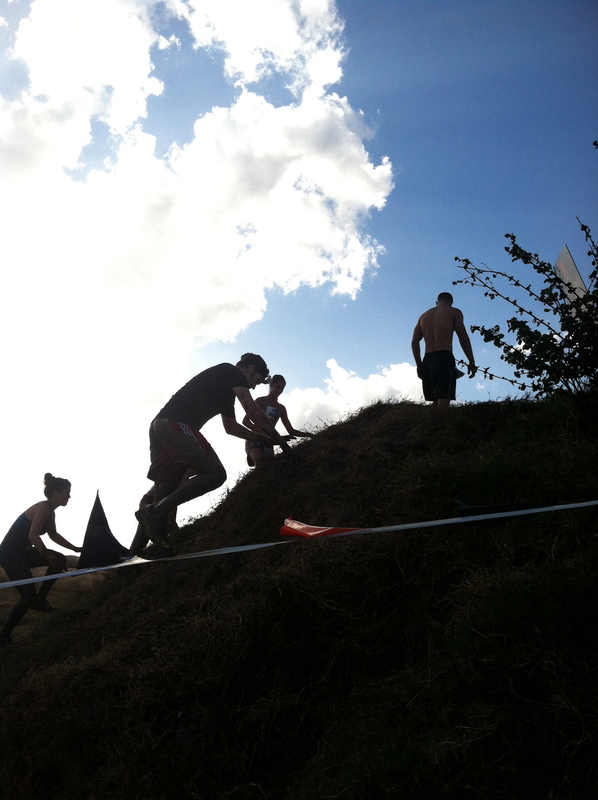 I ran with them for a few hundred yards before cutting off so I could set up for some photos of the next obstacle. I ran with them to the next obstacle (#13 on the map), took a few more pictures and then decided to split off to catch them later. 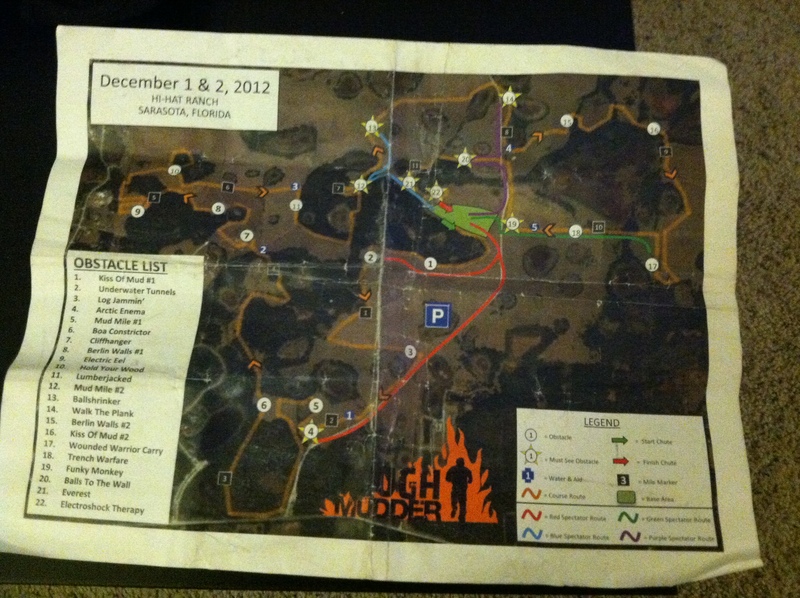 Now, looking at the map, I ran what I thought was due east of obstacle 13. I came to this obstacle, where I watched for a second and checked my map. 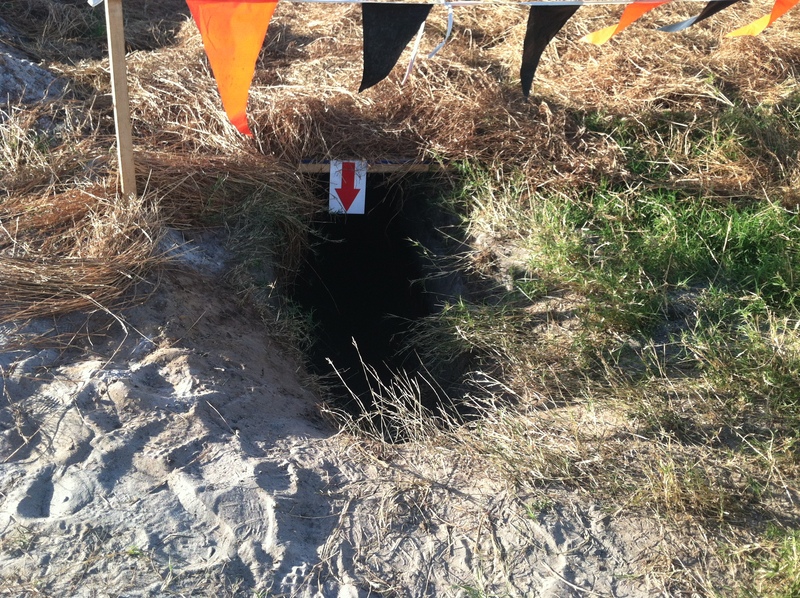 I realized this was the obstacle that was close to mile 11. 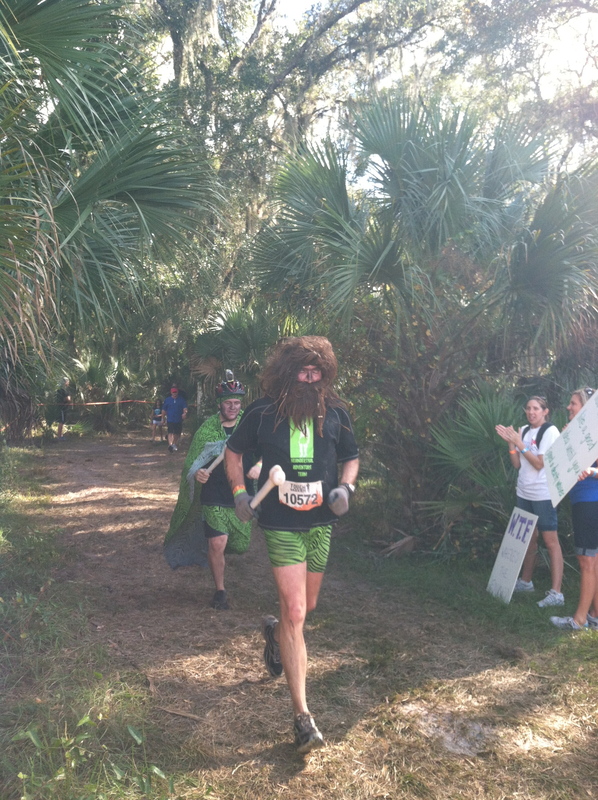 Since it would be a little while before they were at mile 11, I figured I’d try to catch them at a different obstacle, obstacle #14 (just before mile 8). I stood and watched for a few minutes, but didn’t see many faces I recognized from when I was waiting for Bill and AJ. 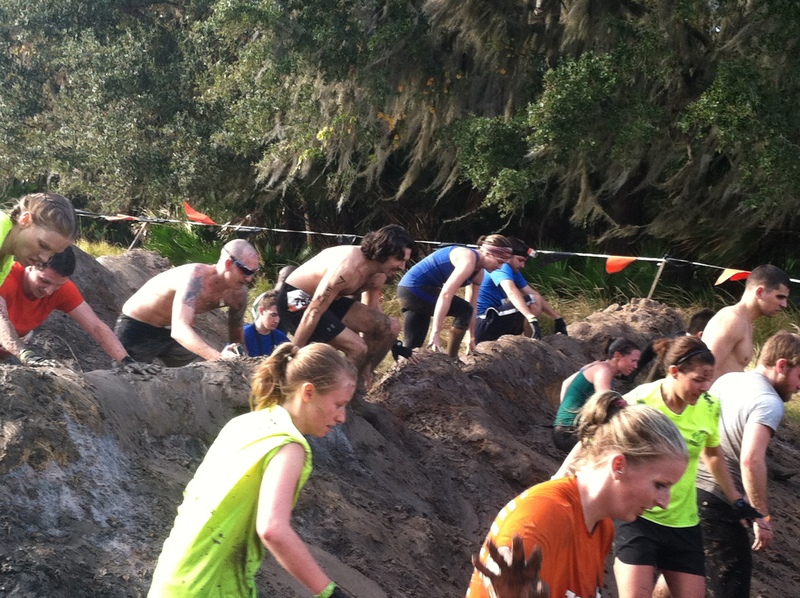 I gave up, figuring I had missed them, and ran south, on the purple spectator route, towards the monkey bar obstacle, #19. 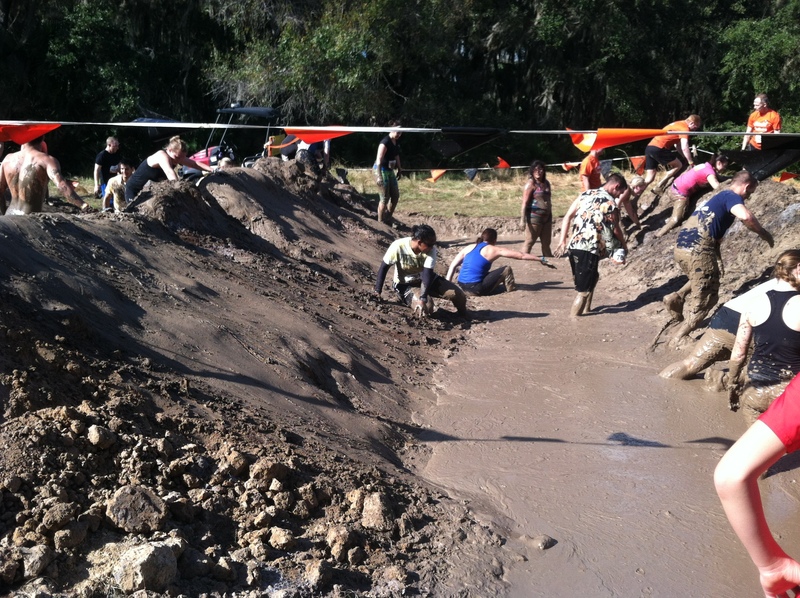 This obstacle was close to mile 10.5, and I was fairly confident I’d see them there. 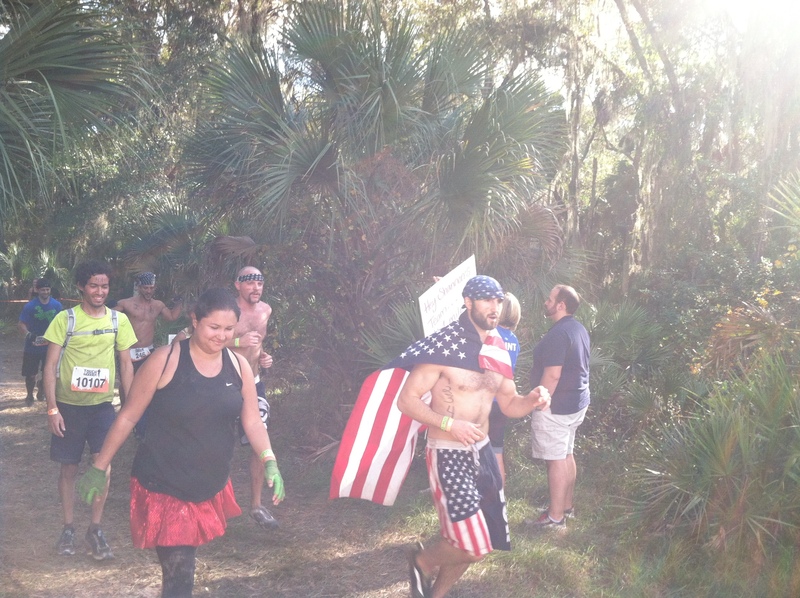 I decided that I wanted to see them before they reached the obstacle, so I followed the green spectator route back towards obstacle 18, “Trench warfare,” right at mile 10. I knew I’d see them there. I waited. And waited. And waited. 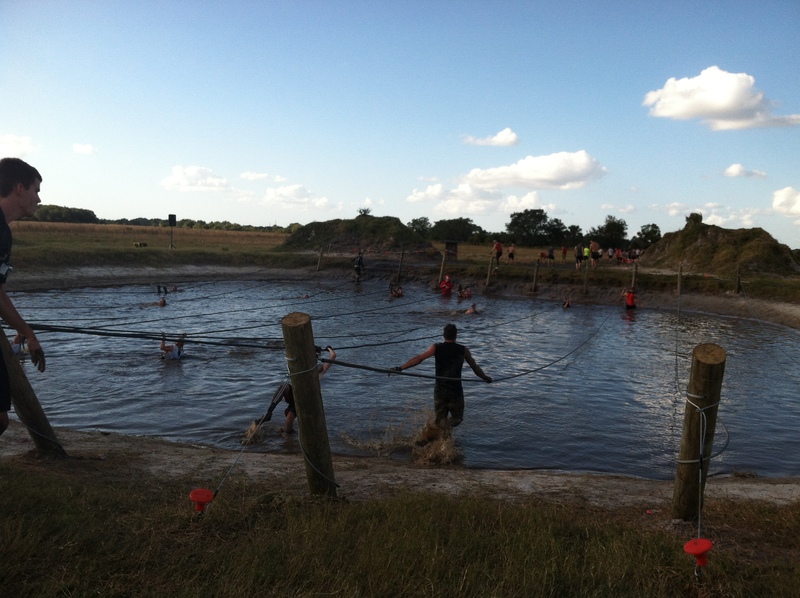 I’m not sure what time I actually got to the obstacle, but I was getting nervous when I still hadn’t seen them at 4:30 then at 4:45. About 5 til 5 I decided I needed to head to the finish line. Just then, I got a Facebook message from AJ telling me they were waiting at the shower area for me and that he was on a borrowed phone, so no need to respond. DOH! How did I get my math SO WRONG and completely miss them?? 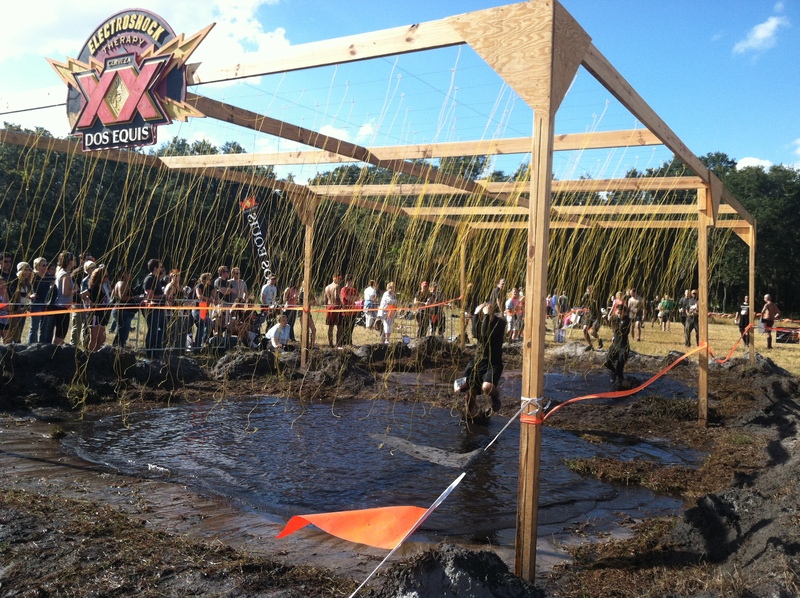 I felt so badly that I missed their finish through “Electroshock Therapy.” That was the obstacle that made me the most nervous, so maybe it was okay that I didn’t see it? They had finished nearly an hour before, in 2:07! I was super impressed that they completed the race without walking (except for the water stops) and so proud of them for toughing it out. 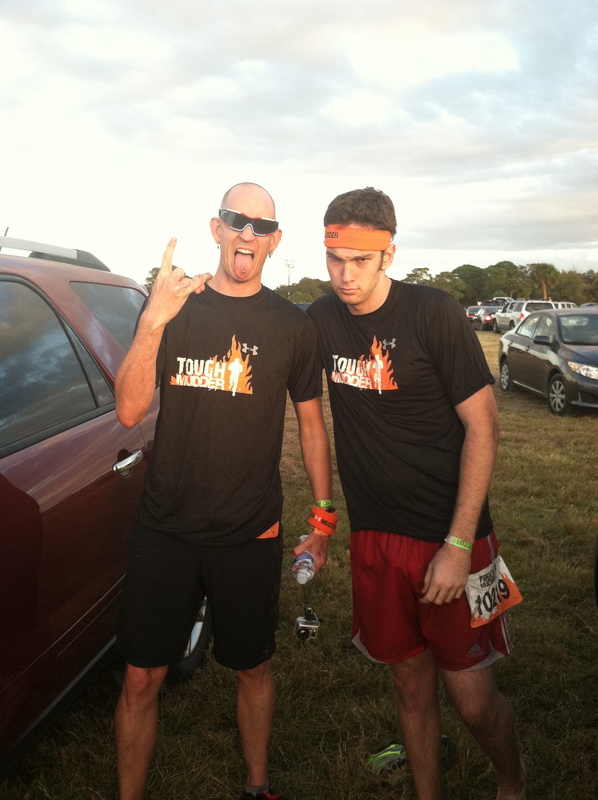 Congrats Bill and AJ, you guys are TOUGH MUDDERS!! This looks so awesome! Way to go Bill!